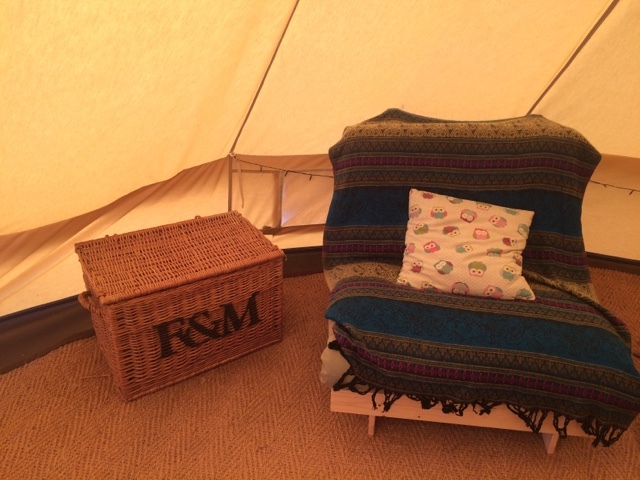 My work recently took us glamping to a little village in Wales called Felindre close to Hay On Wye. 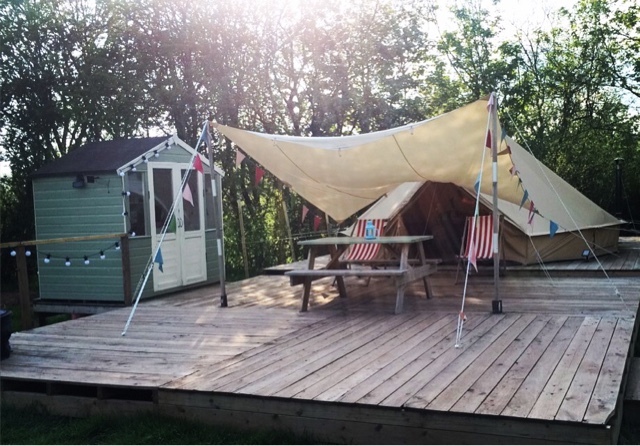 I had never been glamping before only camping when I was a kid but this was going to be a bit more sophisticated with showers, a little kitchen, a bed and a massive tipi! From the glamping site we had a beautiful view across the village and I liked the fact it was in the middle of nowhere. We were also extremely lucky with the weather plenty of SUNSHINE! Inside the tipi it was decorated like what I could imagine Cath Kidston's home to look like: bunting, owls and plenty of pretty florals! 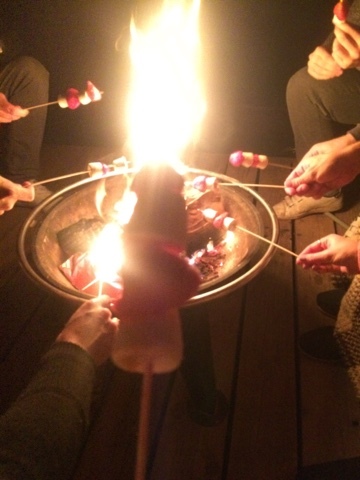 On the evenings we all gathered round a pit fire and cooked burgers and marshmallows. Yes the fire makes your hair smell but it's well worth it! Bedding - Even though we were lucky with the weather it gets cold at night because the teepee doesn't hold any heat even with a little fire. 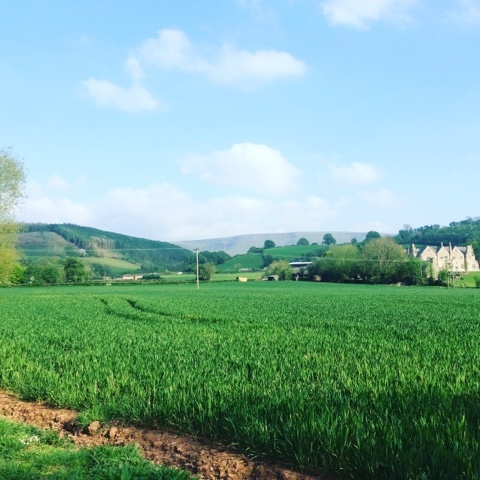 Food and drink - Marshmallows, bbq food and booze will make you forget your sitting outside! Portable phone chargers - If you're like me addicted to your phone then take at least two for a long weekend. Torch - It gets very dark at night especially where we were staying. Sensible clothing - Yes I always like to look fashionable but comfy clothing and walking shoes are essential for keeping warm and dry. 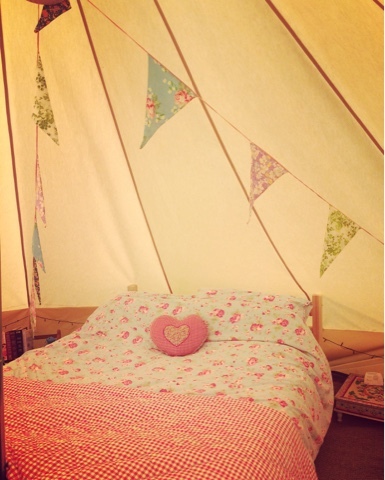 Have you ever been glamping in Wales?